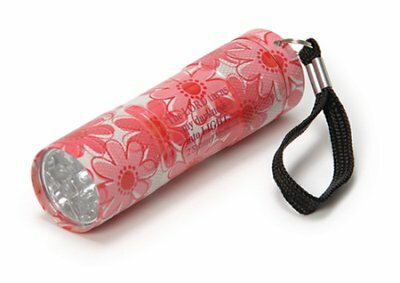 Handy-sized flashlight in floral pattern design with Scripture verse, The Lord turns my darkness into light. 2 Samuel 22:29. 8.3cm (3.25") with convenient wrist strap.